This registered cover originated in Papeete on the northwest side of Tahiti. I think the biggest export of Tahiti is daydreams! 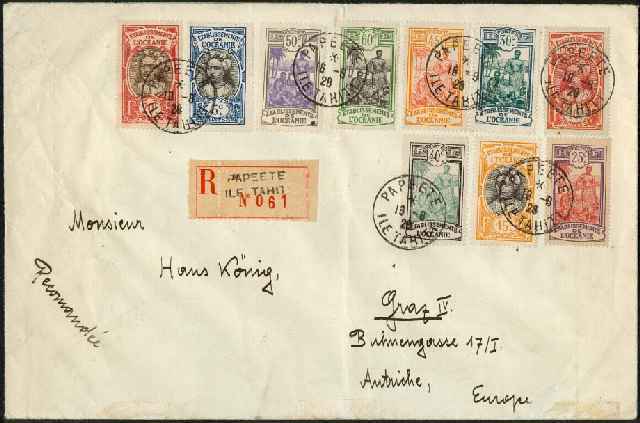 The cover is franked with a colorful array of stamps cancelled by six strikes of the Papeete CDS. was affixed and handstamped PAPEETE | ILE TAHITI. The cover was addressed to Graz which is about 150 km southwest of Vienna. 20c. brown and dark brown (Scott 25, 28, 29, and 32). and the 1926 green and black (Scott 34, 38, 40, 41, 44, and 45). 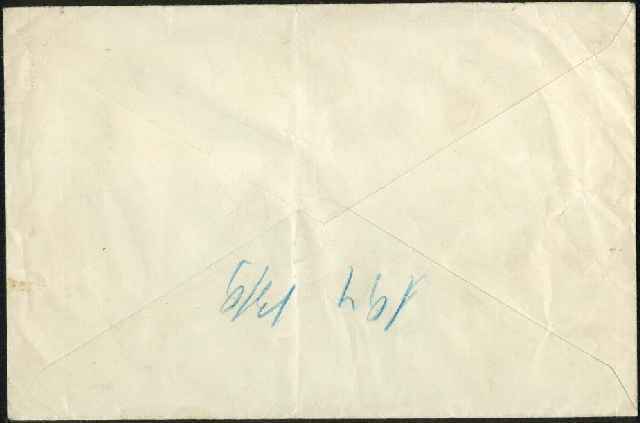 I'm not sure what the blue pencilled marks on the back are - possibly registry numbers added in Austria.